Picking out the right pair of winter boots is just as important as finding the right cold-weather coat. In both cases, you want something that is durable, warm, and fashionable too. Not sure where to start? Take a look at some of the highest-rated winter boot brands available below. 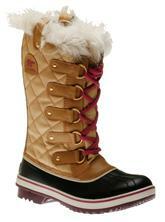 Since 1962, Sorel has created boots to withstand the harshest of climates while also looking fashionable. 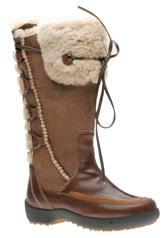 Some Sorel boots are lined with faux fur for extra comfort and warmth, while others come with fleece lining. Many of the styles also feature molded EVA footbeds and foam inserts to keep you even more comfortable in the harshest terrain. 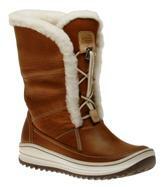 Sorel is best known for boots, but the brand also makes footwear for other seasons, including sandals and moccasins. Try this style: Sorel Tofino Curry. With waterproof construction, waxed canvas and leather overlay uppers, these boots with a leather shell are fashionable and functional for up to 25 degrees below zero. 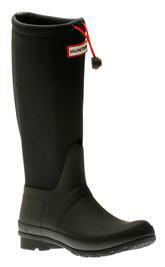 In 1856, Hunter Boots (then called the North British Rubber Company) began with just four employees. 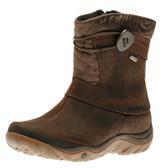 Today the company employs many more and has expanded from boots to other outdoor apparel. The boots are well-known for their durable construction but also have a strong fashion following. Try this style: Hunter Original Tour N. These knee-high boots are sure to keep your feet dry and warm, whether you are facing an afternoon rain shower or a winter blizzard. With a wide variety of boot styles for hunting, agriculture, and casual wear, Bogs boots include Max Wick Lining for moisture control, keeping your feet warm and dry despite the weather. Other technology includes Airmesh for air circulation, Nylon-Jersey overlays for added comfort, and Neo-Tech cushioning. Try this style: Boga Boot. This 100% waterproof style features a plush lining, suede leather, and odor-fighting technology too. The boots combine high-fashion with comfort and protection. Best known for outdoor recreation shoes, Merrell creates winter boots with a variety of features that make them dependable in all types of weather and for all types of activities. With Vibram technology, slip-resistant features, waterproofing protection, and extra warmth, these boots offer a lot in the way of comfort and functionality. Try this style: Dewbrook Zip. These ankle boots feature fleece thermo-insulated lining that allows moisture to escape while keeping your feet warm and toasty, along with shock absorbency and durable traction. Specializing in winter boots, Blondo considers the harshest elements when designing its products. 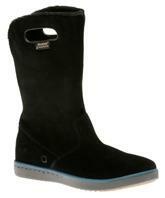 Blondo boots offer breathability, waterproofing, high-cushion foot support, and memory foam footbeds. Boots designed for mild to the worst winters are featured in the Blondo catalogue. Try this style: Blondo Snowtrail. With natural wool lining, these boots feature a removable insole and a one-inch heel. They are made with natural rubber and have an insulated felt insole. With one of the most recognizable shoe brand names in the world, it makes sense that Clarks would offer high-quality boots that are also fashionable. Clarks are waterproof but breathable, and ActiveAir technology keeps air circulation at optimal levels. Try this style: Clarks Natira Kit Gtx. 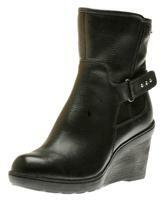 With a 3.25-inch heel, these boots offer sleek style that disguises their practicality. OrthoLite® footbeds keep comfort at the forefront, and warm lining makes them appropriate for walking to work, exploring, or running errands in the elements. 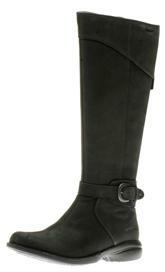 What are your favorite boot styles for the harshest winter months? Known as the world’s largest casual and smart shoe company, Clarks shoes has grown successfully as a family business for over nearly two centuries. Following the footsteps of the Clark brothers, the British shoe brand has paved the way for many other shoe manufacturers, becoming one of the leading brands of shoes in the world. It all started back when James and Cyrus Clark worked at a tannery in the Somerset village of Street. •The Clarks found C. & J. Clark Company. •Outworkers assemble footwear at home to meet growing demands. •The company develops national and international trade. •The company wins 2 awards at the Great Exhibition for its industry achievements. •Recession hits, bringing the business to the brink of bankruptcy. •The company introduces the factory system to the shoemaking process. •The Clarks launch the Hygienic line featuring shoes designed to fit the shape of the foot. •The Clarks release their first press advertisement. •The company supplies the nation with shoes during World War II. •The company opens 15 new factories in neighboring areas to meet the demand. •The Desert Boot debuts with more than 10 million pairs sold since. •Clarks first flagship store is established on London’s Regent Street. •While Clarks made the tough decision to move operations overseas, the company still commits to the same level of quality that James and Cyrus Clark started with in 1825. Part of the fun of working in an office is getting the chance to dress up. In addition to a place for productivity and paychecks, the ole’ office can be a fashion inspiration and a place to show off your favorite trends. But sometimes it’s hard to balance looking stylish and feeling comfortable for eight hours of your day. Women’s office footwear is often uncomfortable and simply unhealthy for your feet, joints, and spine. Around 60 percent of women say they are willing to tolerate pain in order to wear shoes that look good. But 35 percent of women admit to developing blisters because of poor shoe choices, and 24 percent say they have even taken a fall as a result of uncomfortable and unsafe shoes. When it comes to fashion in the office, there is too much at stake to risk wearing shoes that cause pain. The good news is that there are stylish shoes that keep your feet happy and healthy—puffy, white tennis shoes aren’t the only option. Even workers who are on their feet most of the day, like nurses and servers, deserve shoe options that give them confidence and comfort at the same time. Take a look at a few workday shoe options that are both comfortable and stylish below, whether you’re in a formal, casual, or hybrid dress-code atmosphere at work. Ecco Sculptered Mary Jane – Consider this sleek take on office footwear that pairs leather lining with 2.5-inch heels. 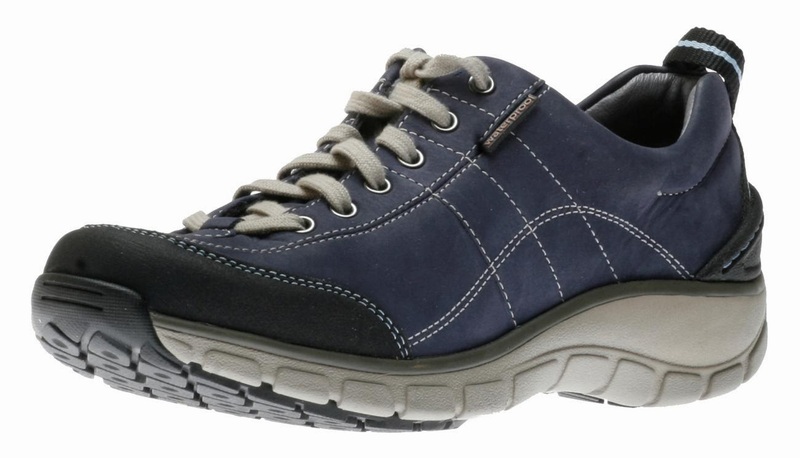 These shoes use the ECCO Comfort Fibre system that is shock absorbent and accommodates foot comfort all day. These shoes are very versatile too—they look great with slick dress pants or a dress suit and tights. 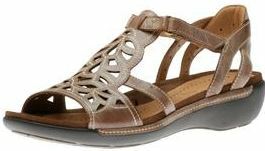 Dansko Bennett – This sophisticated shoe adjusts to a woman’s natural foot contours while looking sharp. There is a 2.75-inch heel that gives any woman a boost of confidence without sacrificing support. These shoes look great with a dress-blouse combo that includes a floral print—throw on some colorful tights to make the look really pop for spring! 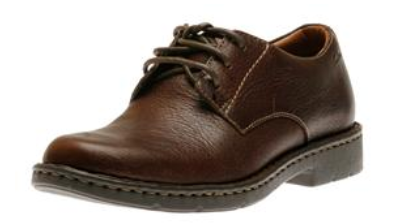 Rockport Alanda in British Tan – These breathable polyurethane shoes have leather uppers with contrast stitching—workmanship that makes these stand out from average flat shoes. With a one-inch heel, they provide that little bit of extra height while still accommodating comfort. These shoes work with khaki pants, or even dark jeans on casual Fridays. Clarks Ashland Alpine Black – These shoes are a must-have for any business-casual wardrobe because they are so versatile. They look great with tights and a skirt or dark dress pants and a simple sweater. These shoes make use of an OrthoLite footbed that provides comfort and support throughout the day, and two bungee loop buttons accommodate an easy fit on any foot. These are a footwear staple. Merrell Twist Glove – Just because a workplace allows casual dress does not mean that you should miss an opportunity to be fashionable. These shoes are versatile for a variety of style choices, including jeans, skirts, shorts, and even a casual dress. These shoes feature Nubuck leather uppers and contrast stitching, as well as odor control elements. A pigskin covered footbed also provides that extra support while going through your daily work routine. Try the red to add color to your spring/summer wardrobe or the black for versatility. Clarks Arbor Jade – Perfect for medical professionals, traveling sales agents, and food service industry workers alike, these shoes use suede to add a pop of elegance to a comfortable design. The Arbor Jade features a durable, shock-absorbent outsole that protects vertebra, spine, and joints from the movements of the workday. These can be paired with jeans, hospital scrubs, or even the occasional dressy outfit with a modern edge. · Consider a lower heel. Different body types do better with high heels, but if you are finding that your feet and back are in pain at the end of the workday, it’s time to take an inch or two off your daily wear. If you really do not want to let go of the height, invest in heels that are designed to cushion and support your foot during wear. · Avoid pointy, narrow toes. When you crowd your toes, it means less support for the rest of your body and, over time, structural problems with your feet. Pick shoes that give ample room for your toes to lie naturally without squeezing together or overlapping. With the right footwear, you don’t need to sacrifice fashion or comfort—both can work harmoniously to give you the best shot at a productive and confident workday. you through your day. A pair of feet has 52 bones—that’s a quarter of all the bones in your body. On top of all those bones are 33 joints and over a hundred ligaments, muscles, and tendons, so you can imagine that even the slightest misalignment in your feet messes up the alignment in the rest of your body. Unfortunately, most people take their feet for granted. About 75 percent of Americans will experience some sort of foot condition at some point in their lives. Considering how much time you spend on your feet, any foot condition turns into a big pain that could become an even bigger problem if left untreated, and you have plenty of potential disorders to choose from. How do you avoid those problems? What can you do to ensure that your feet stay healthy and fit? How to do DIY foot massageRead on for some helpful tips. 1. Wear the right shoes. As soon as we evolved into upright beings, we needed something to cover our feet, but shoes are more than a fashion statement or a product of evolution. They give your feet the support you may lack naturally. They protect your feet from the elements and enable you to venture into difficult terrain. That’s why it’s important to wear comfortable, supportive shoes that cater to your foot type, like a pair of Rockports or Clarks (pictured above). No two people have the exact same foot type. There are a variety of ways to evaluate your foot type, but the simplest is to simply look at your footprint. If you have a flat foot, your print will look flat and wide. The higher your arch, the more your footprint looks like a comma. For extreme arches or flat feet, you should consult a podiatrist. Don’t forget simple size and width either. Shoes that are too small will lead to blisters, calluses, bunions, and generally sore feet. Shoes that are too big are just a pain to walk in and can cause undue strain on your joints. Essentially, if the shoe feels comfortable and doesn’t slip off your foot with each step, you’ve found a winner. Unfortunately, thanks to fashion trends, people have become a bit misguided about their footwear. Super high heels: They may lengthen the look of your legs, but high heels are a foot’s worst nightmare. Sprained ankles aside, high heels force your feet into unnatural positions, putting much of your body’s weight on the balls of your feet, leading to joint pains, bad posture, and potential fractures. Wearing high heels regularly can lead to Haglund’s deformity, more commonly known as pump bump. This is a bony enlargement that forms on the back of your feet and is caused by the rigid backs of pumps. This can eventually lead to blisters, swelling, bursitis, and a permanent protrusion. Keep the heels low and covering plenty of surface area. Stilettos are a no-no. Pointy toes: A burgeoning style among celebrities and suits alike, pointy toes have a unique look but at the risk of bunching your toes together. Aside from being uncomfortable, cramming your toes together can lead to bunions, hammertoes, deformities, blisters, and bruises. Your toes weren’t meant to be pressure-packed together. A wide toe box is your friend. Your foot is filled with muscles, and just like the muscles in your arms or legs, they need exercise to stay properly conditioned. Imbalances in your foot’s musculature limit the motion of your feet, affecting your gait and posture. 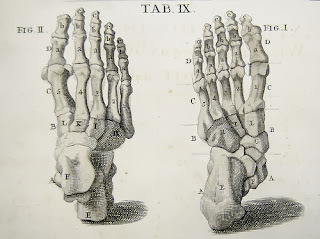 Your foot has two types of muscles: intrinsic and extrinsic. Intrinsic muscles are contained entirely within your foot and move parts of your foot relative to its other joints. Extrinsic muscles, like your calves, connect your foot to your leg. Both types of muscles are important to the mechanics of your feet. Foot circles: This is an easy exercise to help the strength and flexibility of your ankles. Simply imagine that there’s a pencil at the end of your foot and draw circles in the air by rolling your ankles. Do 20 circles clockwise, 20 counterclockwise, and then switch feet. Calf raises: Calf raises improve your balance and strengthen the muscles in your calves and feet. Balancing on one foot, rise onto your tippy-toes and hold for ten seconds before lowering back down. Repeat ten times with each foot and hold onto a counter, doorway, or wall for balance. Toe grip: Drop pebbles, a sock, or a towel on the floor and then use your toes to lift it off the floor. Hold the object off the floor for 10 seconds and then drop it. Repeat the exercise five times and then switch feet.The easiest foot workout is going for a walk. It seems counterintuitive as walking puts extra stress on your feet, but walking works out both intrinsic and extrinsic muscles while keeping your ligaments and tendons flexible. Just make sure you wear the right footwear. If you want to reduce the impact to your joints, walk on grass, dirt, or a track instead of on pavement. 3. Eat for Your Feet. Eating healthily works in a variety of ways to help your feet. For one, weight. Your body weight may seem unrelated to your feet until you realize that your feet have the sole job of supporting all that weight. You don’t necessarily have to obese to feel the effects. Any significant weight gain means more pressure on your feet and ankles. Too much body weight can also lead to problems including flat feet, inflammation in your tendons, plantar fasciitis, osteoarthritis, and general soreness. Diabetes: Diabetes can reduce the amount of blood flow to your feet. This can cause numbness, so you may get scratches on your feet without even noticing them. The lack of blood keeps these wounds from healing properly, leading to infection and the potential loss of your feet entirely. • Gout: Gout is a condition wherein uric acid crystals develop in your joints, like the many in your feet and ankles, causing sharp, intense pains. Peripheral arterial disease: Characterized by the buildup of plaque in the arteries of your extremities—particularly your legs—reducing the blood flow to your feet.Make sure you maintain a healthy diet and avoid the usual culprits of bad health—trans fats, junk food, fried foods, added salt and sugar, and any foods that have been over-processed. Some things you should include in your diet are vitamin D and calcium. Calcium is the stuff that builds strong bones, while vitamin D helps your body absorb calcium. You should also consume plenty of omega-3 fatty acids. Found commonly in fatty fish, omega-3s reduce inflammation, easing pain and soreness in your feet. 4. Focus on Foot Hygiene. As the saying goes, cleanliness is close to godliness, but what do clean feet have to do with your health? Well, feet sweat. A lot. A pair of feet has, on average, 250,000 sweat glands, excreting as much as a pint of sweat in a day. That’s only exacerbated by the fact that your feet tend to be trapped in a pair of shoes for most of the day. All of that moisture is uncomfortable for you and for those who happen to catch a whiff of what’s brewing in your sneakers, but it’s a veritable playground for bacteria and fungi, especially between the toes. Leave those bacteria be and they’ll reproduce and populate your feet, leading to an even worse stink, infections, and skin problems. Yikes. But there’s an easy solution: wash your feet every day. You don’t need to do anything special. Just make sure they get a good, soapy scrubbing, particularly between your toes. Use a pumice stone if you notice any especially scaly, calloused areas. Dry them thoroughly and use a moisturizer. That seems counter to what we said about sweat and moisture, but the wear and tear your feet deal with can lead to cracked, scaly, or dry skin, no matter how much you sweat. 5. Trim Your Nails the Right Way. Not the prettiest item on the agenda, but trimming your toenails is as necessary for your health as it is your general comfort. You don’t want your talons poking through your socks or shoes. Long toenails also offer more hiding places for the bacteria mentioned above. It’s also much easier to break long toenails, turning a stubbed toe into a complete horror story. But there’s more to cutting your toenails than you think. If you’re careless about it, trimming your nails could lead to ingrowths and serious infections. • Cut the nails straight across. Avoid cutting your nails on a curve. Your clippers should just go straight across. • Don’t cut them too short. Don’t overcompensate by cutting into the quick—the pink part of the nail. Aside from the upfront pain and potential bleeding, cutting too short can lead to ingrown nails and leave your toenails open to infections. • Use the right clippers. Use the larger clipper meant for your toenails. Disinfect your clippers before and after you use them. • Trim when dry. Your toenails are softer and easier to cut when wet, but they’re also more susceptible to bending and tearing. If you naturally have ingrown toenails or thicker-than-average nails, consult your doctor. 6. Wear the Right Socks. They keep your feet cozy and protect your feet from everyday wear and tear, but most importantly, socks control the moisture levels of your feet by absorbing and wicking away sweat. During World War II, a pair of fresh, dry socks kept soldiers from developing the dreaded trench foot. You’ll find a variety of socks made of various materials, but for everyday use, stick with wool, cotton, and other natural fibers. For workouts and runs, socks made from synthetic materials (like acrylic, olefin, or polyester) are much better at wicking away sweat. 7. Treat Yourself to a DIY Foot Massage. Toe stretches: Holding your heel in one hand, use your other hand to stretch each toe forward and backward. Hold each stretch for a few seconds. Thumb press: Press your thumbs into the sole of your foot, moving in firm circles. Repeat on the top of your foot. Deep massage: Grip one of your feet in your hands, thumb on top, fingers on your sole. Work each bone simultaneously with your thumb, fingers, and the heel of your hand. Massage can be as easy as throwing a golf ball into the freezer. Take out the ball and roll it under each foot. The cold and the ball’s dimpled texture effectively work into your foot muscles and pressure points for a pleasant, relaxing sensation. Your feet are criminally underappreciated for all that they do for you. They’re a barometer for your general health, and they give you the ability to stand, walk, and run to your heart’s content. Keep your feet healthy and you’ll have no trouble putting your best foot forward!